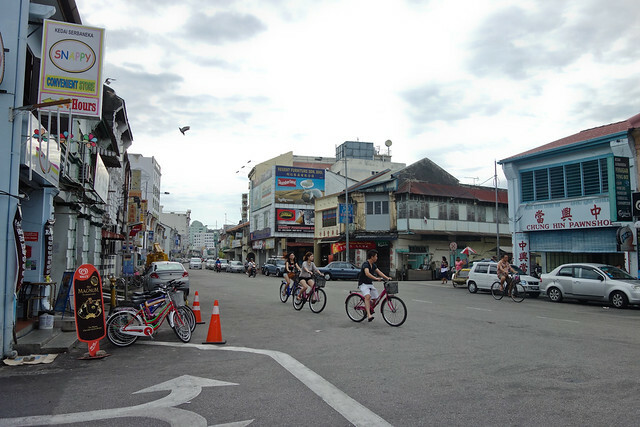 The state of Penang may just be 5 hours away from Kuala Lumpur by bus but the difference in how I felt roaming the streets of these two were worlds apart. 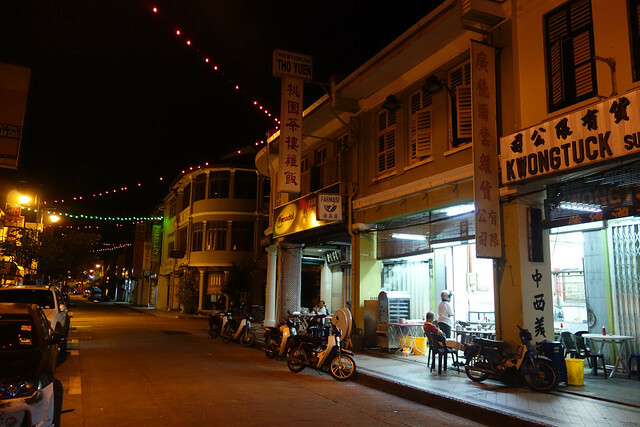 Here's a little history: Penang served as a trading port between the East and the West during the British Era. 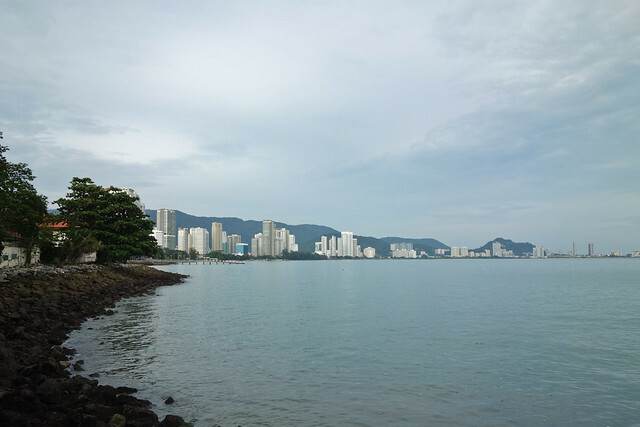 With the presence of the British culture, combined with Chinese, Indian, and Islamic elements, Penang has developed a distinct character evident in the city's architecture and culture. Compared with the modern, Times-Square-ish vibe of Bukit Bintang in Kuala Lumpur, Penang is laidback and feels like a haven for the arts. We say that real beautiful women look their finest when they wake up in the morning sans the make up, au naturel. Penang therefore is a lovely lady aging gracefully. At 4AM, while the world is yet to be disturbed in its sleep, George Town, the heart of this state, held us in its quiet beauty. Restoran Tho Yuen serves good dimsum, plus they open early too! Starting at 4AM had its perks but by 5AM, we were all hungry. We found ourselves looking for some good food at an odd hour and luckily we spotted a Chinese restaurant along Campbell Street opening it doors. The place, with its tiled walls and floor, reminded me of Chinese eateries in the movies. There was no itinerary for the day except that we go roaming in the streets because the inner city of George Town is best explored on foot. Walking has a lot of perks. 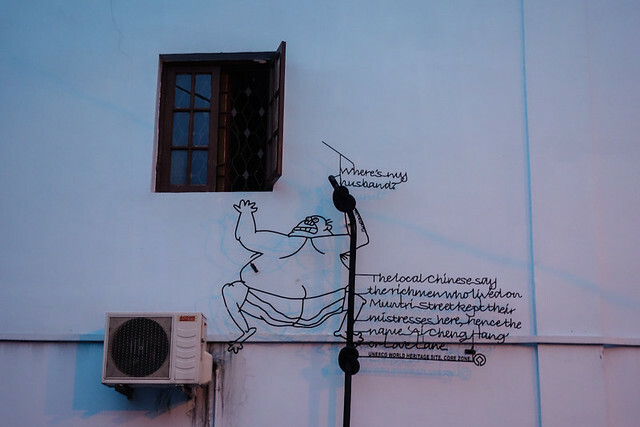 Aside from the calories burned, walking around George Town gave us the chance to read artsy street descriptions. Each street had a significant role in history. For example, Love Lane street was the sailors go-to place for brothels in the 19th century. It is also believed that the rich Chinese men from Muntri Street kept their mistresses on this street. 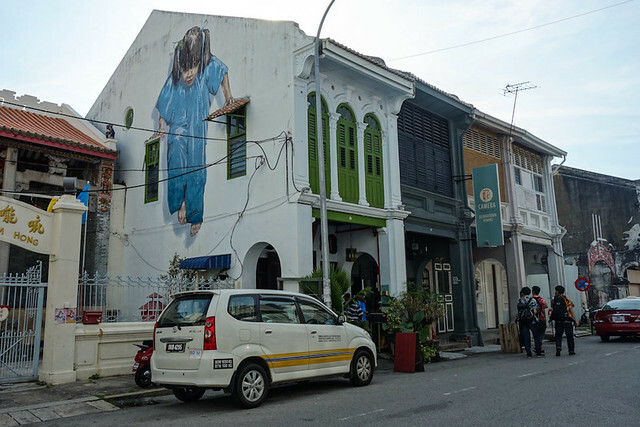 Our hostel, Old Penang Guesthouse, is a refurbished heritage house located at this street. Who knows, it might have been more than a sleeping place that time. Love Lane now is a street where most hostels are found. Another good thing about walking is that you'll never know what you will end up seeing. We traversed a few blocks north of the hostel and we ended up facing the waters. Then we stumbled into a street of restored commercial buildings that looked like they were plucked straight from a Hollywood studio. 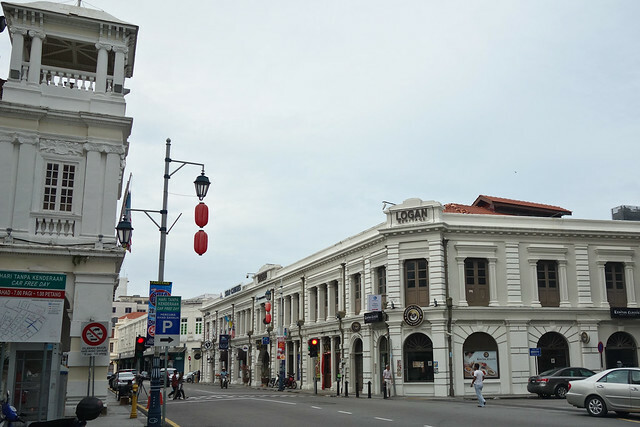 Beach Street (Lebuh Pantai) is the high-end district of Georgetown where upscale restaurants and shops are located. 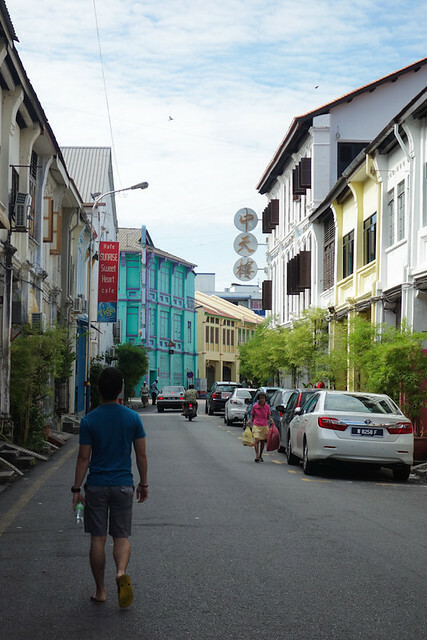 This time I could not stop gushing about how much I already love Penang. 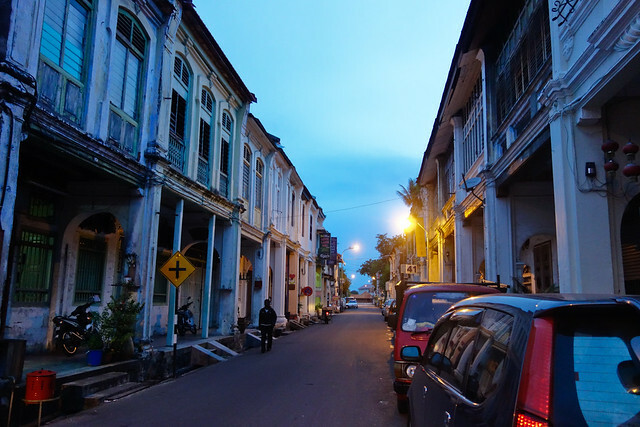 I have repeatedly said that I am a sucker for all things quaint, and Penang has hit all spots - quaint, artsy, relaxed. I would never forget the street arts that subtly pop out of nowhere. It made me wish we had the same pleasant surprise in the streets of Manila. Several museums can also be found in the Inner City ranging from a state museum to places for hobbyist, like the camera and chocolate museums. I like how the Inner City, a UNESCO World Heritage Site, has been restored in a way that the area is intact, functional, and informative without making us feel like we stepped into a huge tourist trap at the same time. At the end of the day, we were tired and hungry from all the walking.This is not a problem in Penang since this state is the food capital of Malaysia (and that's according to my taste buds!). Everyone deserves a good feast after a whole-day workout. Penang food deserves another lengthy post. Share your Penang experiences too! 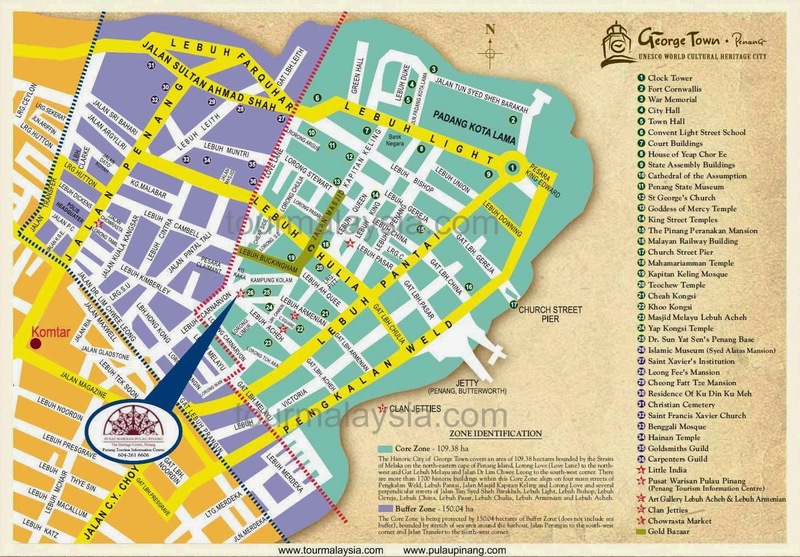 ** The map below is useful when coming up with your own Penang Walking Tour.